The Anaktuvuk River Fire occurred in 2007 on the North Slope of Alaska. In 2008, three eddy covariance towers were established at sites representing unburned tundra, moderately burned tundra, and severely burned tundra. The three sites (unburned, moderately burned and severely burned) were harvested for analysis of biomass, carbon concentration and nitrogen concentration during the summer of 2011. Units: Tissue mass data are expressed in g/m2. Two transects at each of three sites were harvested for aboveground biomass where transect 108 and 109 are from the unburned control site, 101 and 114 are from the severely burned site and 103 and 104 are from the moderately burned site . Quadrats measuring 10 x 40 cm were harvested every 5 meters over 50 meter transects for a total of 20 quadrats per site. Aboveground biomass is considered "within" the quadrat if it is associated with a meristem that is within the quadrat. Briefly, harvest method were as follows: the rhizome-containing soil layer was harvested by cutting around each quadrat boundary with a serrated bread knife. All aboveground live vascular plant biomass, and all live rhizomes and belowground stems within the quadrat boundaries, were separated by species. Data and methods are further explained in 2011ARF_AbvgroundBiomassCN. For every second quadrat in a transect, two contiguous 10 x 20 cm soil monoliths were excised from the side of the pit, extending from the surface of the green moss to the surface of the mineral soil (roughly 5-30 cm depth depending on location). In addition, two cores (2.42 cm in diameter) were taken through the mineral soil from the bottom of these monoliths to the ice surface at the bottom of the thawed layer. Monoliths and cores were wrapped in tinfoil to preserve structure, returned to the field station, and refrigerated prior to analyses. Within 24 hours of collection, one monolith and one core from each location were processed for determination of microbial biomass, bulk density, moisture, and C and N concentrations in both soluble (NH4+, NO3-, DON, and DOC) pools and solid fractions. Soil data and further method description is available in file 2011ARF_SoilCN_byDepth and 2011ARF_SoilCN_byQuad. Coarse (&gt; 2 mm) and fine roots (&lt; 2 mm) were separated by hand from the other monolith and core. The core (mineral soil) and monolith (organic soil) were separated into 5 cm depth increments (incremental data by depth is shown in file 2011ARF_RootBiomassCN_byDepth). Fine roots were separated into Eriophorum vaginatum roots (which are readily distinguished due to their vertical growth pattern, consistent diameter, and lack of branching) and other roots. 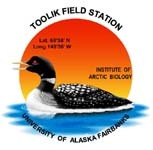 The samples were dried at 70°C in a drying oven and after several days weighed to the nearest milligram at Toolik Field Station. Root samples were analyzed for C and N content on a Costech Elemental Analyzer (Costech Analytical, Los Angeles, California, USA) calibrated with the NIST peach leaves standard (SRM 1547, National Institute of Standards and Technology, Gaithersburg, MD, USA). Incremental data by depth can be found in file 2011_ARF_RootBiomassCN_byDepth. For this file all data has been summed by quadrat for each variable. Bret-Harte, M.S., Mack, M.C., Shaver, G.R., Huebner, D.C., Johnston, M., Johica, C.A., Pizano, M.C., Reiskind, J.A. (2013) The response of arctic vegetation and soils following the Anaktuvuk River fire of 2007. Philosophical Transactions of the Royal Society: Biological Science, Submitted. If no samples were present in the biomass data, zeros were used. Where calculations were not possible dots were used as place holders. Version 1: Updated metadata form to newer version (with sites sheet) CH March 2013.